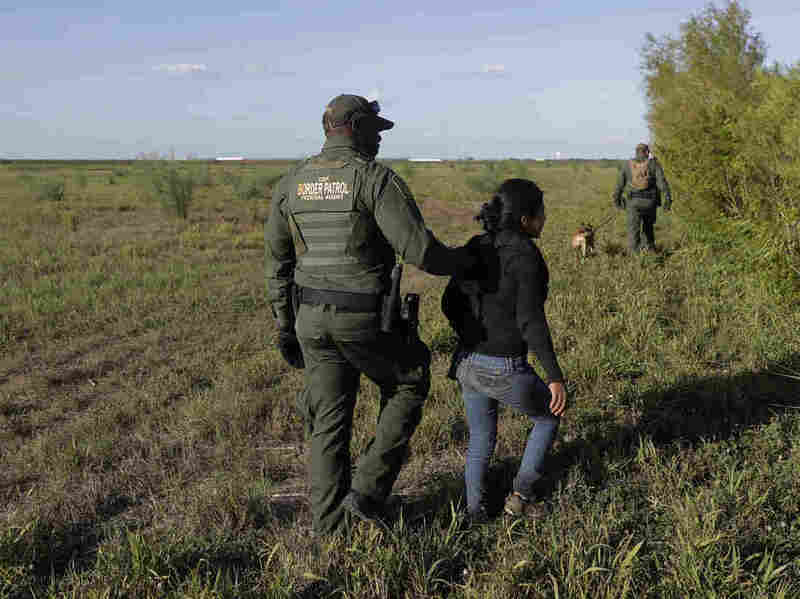 May Marks Another Increase In Border Arrests Despite Trump Crackdown For the third consecutive month, border arrests top 50,000 even as the administration has announced a zero tolerance policy and sent the National Guard to the southern border. A U.S. Customs and Border Patrol agent escorts an immigrant suspected of crossing into the United States illegally along the Rio Grande near Granjeno, Texas. "The May 2018 Southwest Border Migration numbers show that for the third month in a row more than 50,000 illegal border crossers were apprehended. The number of apprehended illegal border crossers increased slightly from the previous month and climbed by 160 percent in May 2018 in comparison to May 2017. "These numbers show that while the Trump administration is restoring the rule of law, it will take a sustained effort and continuous commitment of resources over many months to disrupt cartels, smugglers, and nefarious actors. We are taking action and will be referring and then prosecuting 100 percent of illegal border crossers, we are building the first new border wall in a decade, and we have deployed the National Guard to the border." The DHS numbers also show that 6,405 unaccompanied children crossed the border in May, more than 2,000 more than in April when 4,302 were detained. The number of families entering illegally was 9,485, a slight decrease from April when 9,653 were detained. In April, Attorney General Jeff Sessions first announced a zero tolerance policy and promised to prosecute everyone attempting to enter the country illegally. Then in May, Sessions underscored that threat by promising to separate children from their parents as a deterrence to illegal immigration. "If you are smuggling a child, then we will prosecute you and that child will be separated from you as required by law. If you don't like that, then don't smuggle children over our border," Sessions said. In the face of criticism of the family separation policy, even from some conservative commentators, Sessions defended the approach. "We've got to get this message out. You're not given immunity," he said. But the growing numbers of people arrested at the border calls into question whether the administration's crackdown is working. "No one expects to reverse years of political inaction overnight or in a month," said DHS's Houlton.